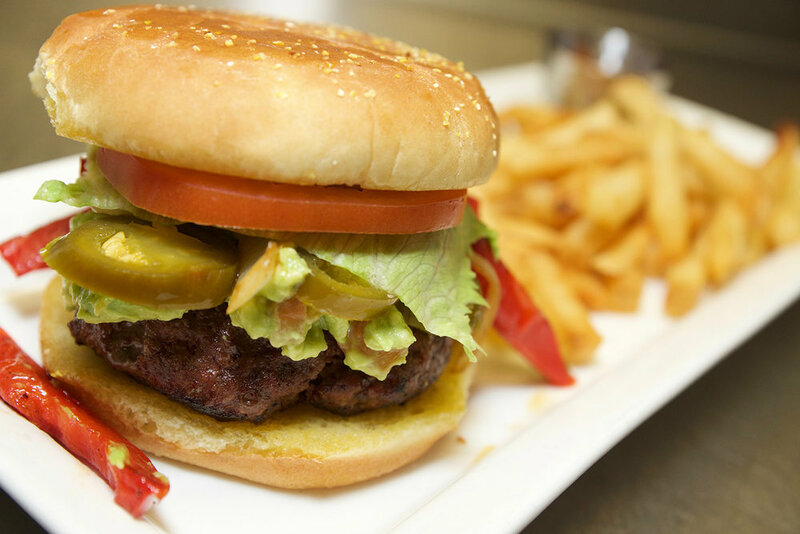 Grilled hamburger, topped with sautéed peppers, onions, jalapenos, guacamole, cheese, lettuce and tomatoes served with French fries. Grilled hamburger topped with cheese, lettuce and tomatoes served with French fries. Grilled hamburger topped with an over easy egg, bacon, peanut butter served with French fries. Follow Lock AND Dam Eatery on Facebook. Visit us under the bridge in downtown Hastings, 101 East 2nd Street. Give us a call (651) 319-0906. Lock AND Dam Eatery Caters!